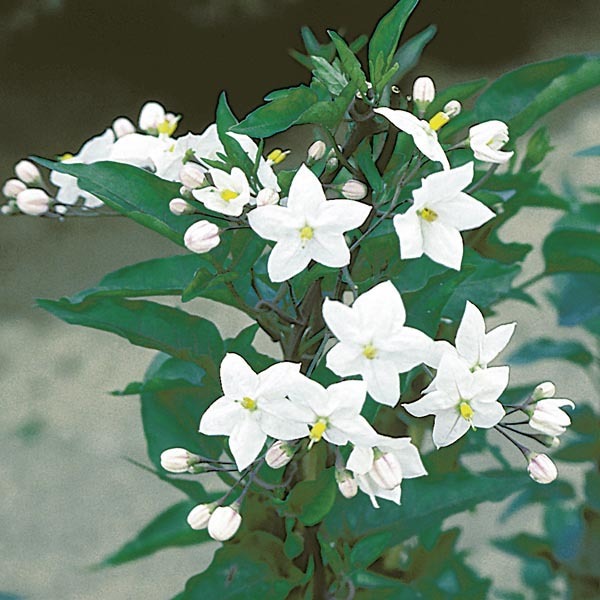 This Brazilian native is known for its deliciously scented blooms and vining growth habit. It also offers lush foliage to attractively cover a wall or trellis. Prune after flowering if growing where hardy or as a houseplant. Beautiful trained to fences, posts, latticework and trellises. Perfect for all kinds of containers. Wonderful for combination plantings. Best in fertile, well-drained soil. Water as needed to keep soil evenly moist, especially in hot weather. Provide climbing support, tying shoots up until well established.